Quality integrated tilting 4 in 1 Bucket provides the operator with full radial control of the cutting angle. Slimline tilt frame design minimises additional machine weight and distance to maximise full lift capacity. 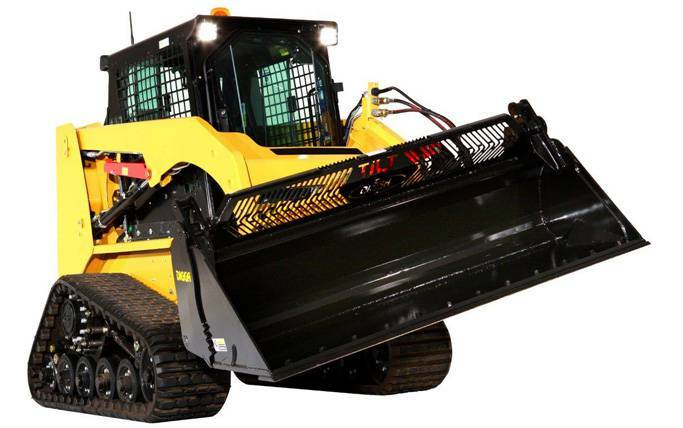 For grading, scraping, grappling, dozing dirt or material spreading, and most construction work. 1 piece heavy duty fully welded 6mm grill/hungry board uniquely designed to provide clear vision of both front and back bucket edge. Hardened wear plate to increase tilt mechanism wear life of moving parts. Available from 1600mm to high volume 2130mm. Optional tilt control Plug’n’Play electrical wiring kit available. Fully inclosed integrated valve blocks and built-in locking valve. For pricing or more information about the Tilting 4 in 1 Buckets fill out the form and we&apos;ll be in touch soon. Alternatively call (08) 9457 1544.